The word mobile is defined as being able to move or be moved freely or easily. Within the enterprise space today, mobility is a business imperative. "Enterprise mobility is all about making computing mobile and, on top of this, it's about making people more productive via mobile computing," says Clifford De Wit, developer experience director at Microsoft South Africa. The realities of technological innovation mean organisations have so many more possibilities when it comes to how they plan on completing a task, he notes. In 2014, Shell responded to demands from its 30 000-strong workforce for greater choice. The oil and energy behemoth saw an opportunity to use mobile technology and applications to boost efficiency and overall productivity. Realising that the vast majority of its workforce was already using consumer-grade mobile devices, the organisation opted to tap into the functionality of this technology to better support core business processes. For Shell, this involved rethinking internal collaborative and communication channels, while also developing mobile business applications capable of running on various mobile platforms. According to De Wet, by being open to move with the times, businesses can reap the benefits that have arisen as a result of new mobile technologies. New technologies mean new opportunities, but also require organisations to rethink their existing business models. "Gone are the days when you had a business model baked in stone that remained the same for many years. The business environment is changing rapidly as customers and users become more discerning about their requirements." Mobility is no longer an IT conversation, says Anthony Doherty, Windows business group lead at Microsoft. It has become a business conversation. "Business is gradually realising that providing the right level of mobility to a user to be productive and helping them to make executive decisions based on the information presented to them at that specific time is essential." For Craig Heckrath, Intervate business unit manager for application development at T-Systems in SA, technology provides businesses with so many opportunities. In the past, all of the focus was on managing the different devices being used across the organisation, but times are changing. "Conversations around enterprise mobility need to move away from managing devices to actually understanding the value of this technology and using it to make processes more efficient and boost employee productivity." 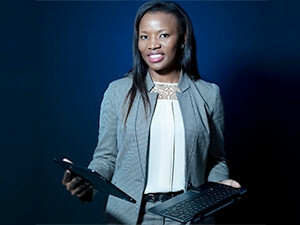 A recent study sponsored by Microsoft and conducted by IDG Connect and Dell SA about local businesses' responses to next-generation mobile devices revealed that smartphones - particularly those with larger screens - remain the device that opens the gate to the adoption of mobility in South African organisations. Today, everything is mobile. It just has to be. Discussing the findings of the study, Boitumelo Kgonare, client product marketing manager at Dell SA, noted local trends around the adoption of mobility are being driven by seismic shifts in attitudes and perceptions towards how we work. IT departments have to respond to these changes by rolling out the necessary devices and applications in order to get the job done. The true measure of mobility for modern workers is being as productive using business applications in the office as they are using business applications outside the office. As workforces continue to evolve, employees must be able to access information at home, in coffee shops or at an airport, without suffering downtime. "True mobility is instant connectivity through powerful devices that can support multiple applications and fast data input." The study results cited portability, as well as instant on and fast boot-up times as being of little importance when utilising mobile devices for business settings. There also emerged an apparent lack of knowledge about the benefits associated with deploying similar or identical operating systems across multiple device formats, despite the potential security, manageability, app compatibility and distribution complications associated with multi-operating system environments, Kgonare continues. If Anthon Muller, executive head for managed enterprise mobility for SA and Africa at Vodacom Business, is to be believed, discussions around enterprise mobility management are shifting from a focus on devices to a focus on apps and data. "You can deploy an app on any device, as long as you have the right software in place to optimise the type of information you're trying to access," says Muller. With the right infrastructure in place and the implementation of the right enterprise mobility apps, employees really can be anywhere in the world and easily communicate with their superiors, colleagues or customers, he goes on to say. Enterprise mobility is all about making computing mobile, and on top of this, it is about making people more productive via mobile. "Historically, the only time you interacted with a business system was from behind a desktop. Now, with mobile phones, you can interact from anywhere. This opens up incredible possibilities for organisations, employees and customers," notes Heckrath, cautioning against the knee-jerk response that many organisations have around 'needing' to develop a bespoke app. But, he also acknowledges that finding a generic app to meet unique business needs can be a real challenge. "Yes, apps can augment existing processes and completely change traditional business models, but the real value comes when these technological advancements improve how something is done and allow employees to be more productive and efficient." All of this promotes business agility and translates into altering how services are delivered, empowering employees to work better and smarter, which, in turn, generates business value and helps the organisation evolve, stresses De Wit. "Today, mobility is a requirement, not a luxury. In this modern world, if you want to attract the brightest talent in the market, they expect to work in this fashion," says De Wit. "Tomorrow's workforce expects to provide value back to an organisation by working from anywhere, on any device." As is the case with any changes in how things are done, this evolution in the way people work requires enterprises to develop new regulations around mobile application and mobile device management, notes Brendan Mc Aravey, SA country manager, Citrix. The challenge is to deliver what employees need and want without compromising security and control. At present, there exists a complex relationship between IT and employees. Users want to be able to collaborate, share and access their files seamlessly on all devices, while enterprise IT is concerned with the lack of control over corporate data and the resultant security and compliance risks. For Bernard Kur, head of product at Global Micro, it's important that organisations set up and strictly enforce their own policies around app and device management. Specifically, he cites cloud storage and backup, data access and use, and handling lost or stolen devices as key focus areas for policy formulation. Device management and app management is essential, continues Kur, and it requires buy-in from all divisions. The basics involve securing mobile devices through passwords and configuring device settings automatically, which must be defined by the company policy, he states. It requires strong identity authentication to log onto services like mail or to access cloud data. It calls for strict rules around content management that focuses on content distribution, version control and content policies such as encryption. Additionally, there's a need for remote wipe applications to prevent others from accessing confidential data, should a device be lost or stolen. "The primary purpose of a sound policy is to ensure all users are aware of their responsibilities when working remotely or on mobile devices, and understand the associated risks." "Why do you want your staff in the office anymore?" 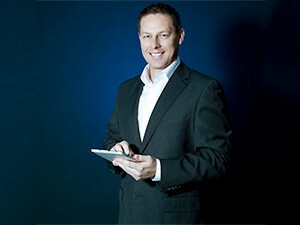 asks Anthon Muller, executive head for managed enterprise mobility for SA and Africa at Vodacom Business. "Today, people are working in different places. Everything and everyone is mobile. It just has to be this way. It's not a choice anymore, especially because the products and services are available for organisations to embrace a mobile enterprise infrastructure, both internally and externally." Brendan Mc Aravey, country manager at Citrix SA, agrees. Remote work empowers employees to work how and where they like, rather than needing to be physically present in one place at a fixed time every day. "We need to move from judging people on how long they spend at their desks to evaluating them on the work they deliver. By realising that people don't have to be in the office nine to five, employers will be able to benefit from a more content and healthy workforce, while also attracting the best talent available." 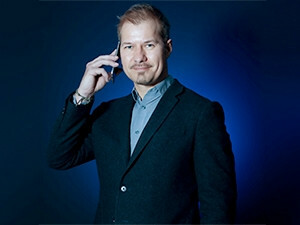 Mobile workers should be able to interact with their colleagues with the same immediacy as if they were in the office, whether it be by instant message/chat, e-mail, real-time document collaboration or even video communication, says Rob Lith, business development director at Connection Telecom. Not only is a mobile workforce more productive, but by embracing mobility, an organisation also provides employees with the necessary tools to better fit their work commitments into their everyday lives, he adds. For example, employees can leave work a little earlier to miss rush hour and then work once they get home, which saves time that would previously have been wasted sitting in traffic. But there are a few infrastructural technologies that need to be in place in order for remote work to truly be a reality, notes Lith. "Remote work requires ubiquitous connectivity wherever you are, real-time access to cloud apps to utilise required data and being able to collaborate on documents in real-time with others." For IT, the challenge now is to deliver the apps people need, where they need them, while maintaining security and control, regardless of app type, device or location.